Embodied: An Exhibition of Works by Tattooers and the Tattooed opens tonight at the Ann Arbor Art Center tonight. 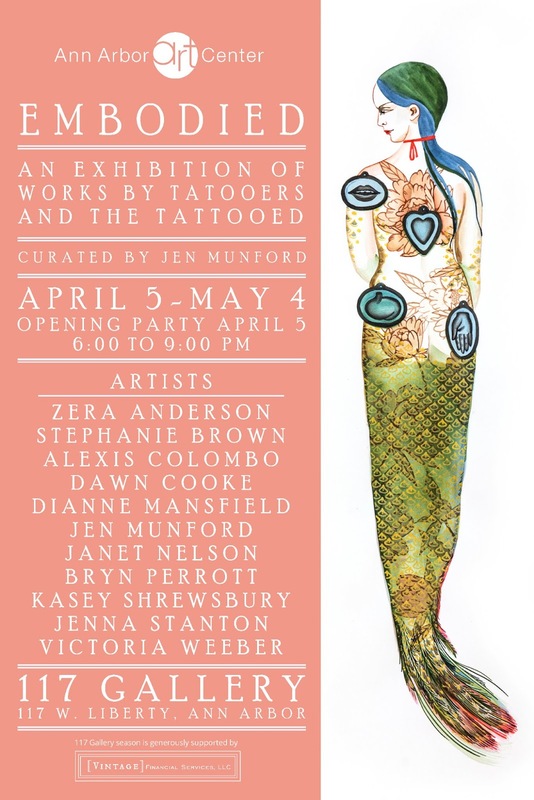 The exhibition is curated by Ann Arbor tattooist Jen Munford. The show opens tonight with a reception from 6-9pm at the Ann Arbor Art Center on the 2nd floor in the 117 Gallery. So if you are already downtown for FoolMoon, why not stop in? Embodied runs runs through May 4th.